On Nov. 18, he'll reprise his role as vampire/new father Edward Cullen opposite Kristen Stewart in The Twilight Saga: Breaking Dawn— Part 2, the final installment in Stephenie Meyer's behemoth series. But before that, he'll appear in a surreal role as a Wall Street banker in David Cronenberg's Cosmopolis (due in August), which earned a standing ovation for its premiere at the Cannes Film Festival. "I used to think it was a good thing to have a safety net," says Pattinson, 26, of his starmaking Twilight role. "To know you're always safe is not real. It's got to matter." 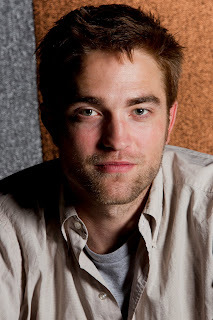 So after Breaking Dawn, Pattinson will launch into a busy slate of projects that are starting to take shape. "I have five things going — actually six," he says. "I'm pretty sure I know which one is going to be first." That would be Mission: Blacklist (2013), based on the true story of the interrogator credited with locating Saddam Hussein after the fall of his regime. After that, Pattinson will head to Australia with Guy Pearce to shoot The Rover, a thriller set in the post-apocalyptic future. It will be directed by David Michod (who wrote and directed 2010's critically acclaimed Aussie film Animal Kingdom). Like his role in Cosmopolis, this movie doesn't quite fit into a box. "It's really complicated to explain," Pattinson says, laughing. "I seem to like choosing movies lately that are difficult to promote."